During the month of September, the Palouse community crowded into Kenworthy Performing Arts Centre in Moscow, Idaho, to view a Bollywood film every Tuesday. Lipi Turner-Rahman, Kimble Collection Project manager for WSU Libraries and instructor of two India History courses, organized a Bollywood Film Festival in hopes of broadening cultural experiences to the local community. It is difficult to bring the culture, language, and history of India to the Pullman area, but the Bollywood films are “sort of like a mini study abroad,” Turner-Rahman said. She chose an array of film topics that ranged from a spy for Pakistan, to the life of engineering students, to a pioneer of menstrual pads, to a couple falling in love in Europe. Community interest was great with a sell-out show the first night. Read more about the festival. In October, the greater Pullman area got a taste of French culture through the 9th annual Palouse French Film Festival. 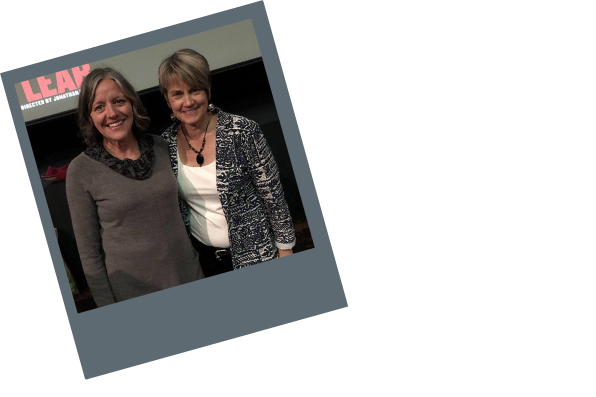 Clinical Associate Professor of French Sabine Davis co-organized the festival in collaboration with Sarah Nelson, French associate professor at the University of Idaho. Before each film showing, the two professors provided the audience with cultural and historical context about key elements in the movie. They included films that were also made in French-speaking countries outside of France. The community responded with excitement, filling more than 190 seats at the first two events. 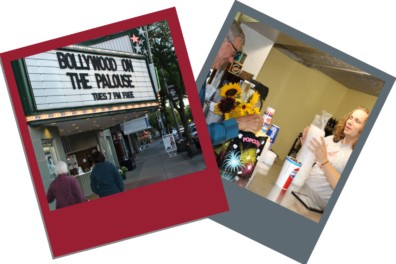 The film festival was made possible by funding and support of the WSU College of Arts and Sciences, Honors College, and the School of Languages, Cultures, and Race. On Oct. 17, we filled corridors of Thompson Hall with laughter, music, and dance to celebrate the formation of our school. 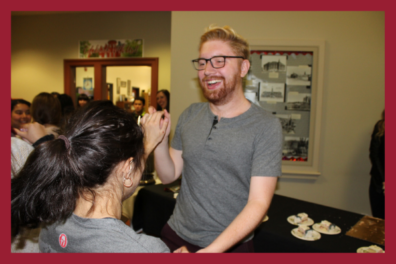 Students, alumni and donors met with our internationally recognized faculty and supportive staff to get to know our many academic programs and student learning resources. Spanish teaching assistant Priya Panday organized two lively dances, which were performed by her Spanish 101 students. Priya encouraged her students to perform the macarena and bachata dances which they learned in her class. Students stopped at various tables to enjoy the festivities, such as drinking Perrier from the French table and munching on Chinese treats from the Chinese table. WSU Provost Dan Bernardo, College of Arts and Sciences Dean Matt Jockers and several donors toured our facilities with Director Carmen Lugo-Lugo and Administrative Assistant 3 Lauren Jasmer. To close off the event, we gave away five gift baskets that held coupons, treats, and Coug swag. We were able to offer the gift baskets because of our generous donors and supportive Pullman businesses.